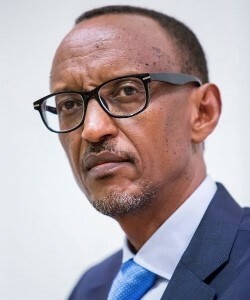 HE President Paul Kagame is the current President of Rwanda. He has received recognition for his leadership in peace building and reconciliation, development, good governance, promotion of human rights and women’s empowerment and advancement of education and ICT. President Kagame is widely sought after to address regional and international audiences on a range of issues including African development, leadership and the potential of ICT as a dynamic industry as well as an enabler for Africa’s socioeconomic transformation. . President Kagame currently serves as chair of the UN Secretary General’s Advisory Group on MDGs and as co-chair along with Carlos Slim of the ITU’s Broadband Commission.